NetZero Wireless, Inc. is a leading provider of quality, value-priced Internet access. NetZero 4G Mobile Broadband, the company’s latest offering, is a personal hotspot service that, unlike public Wi-Fi, provides secure, mobile and super-fast 4G Internet connections. Available in over 80 cities, NetZero 4G Mobile Broadband allows laptop, netbook and tablet owners to access the Internet anytime and anywhere in our coverage area. NetZero 4G Mobile Broadband provides secure, mobile, super-fast 4G Internet access for your laptop, iPad®, netbook or tablet in over 80 cities across the U.S. With a NetZero 4G device, you become your own hotspot. You no longer have to search for a public Wi-Fi location to enjoy Internet on the go. Your Internet connection is private and your personal information is protected from hackers and data thieves. I know some of you might know this but recently free WI-FI was made available in most Disney World locations, that's a great thing, no longer do we have to pay ten dollars a day for wired internet but free WI-FI does come with a cost. Since we're sharing the WI-FI signal with everyone who has a WI-Fi device and in this day in age who doesn't, but those signals can be slow and wonky making your browsing or working difficult. My husband connected our iPad to the Disney network and it kept dropping constantly, he could not get the signal to stay connected for longer than a handful of minutes. It was driving him insane! Thankfully he packed a little help. He brought our Netzero 4G Hotspot and no longer did we have issues we just had blazing fast internet speed and we didn't have to share our connection with hundreds of other guests. 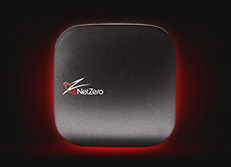 The Netzero Hotspot is simple to set up and even simpler to use, the Hotspot puts its password right on the screen and all you have to do is connect to is and type the password in and off you go! No longer did we have dropped WI-FI, no longer did we have slow speeds we were running and running fast. With the Hotspot you can connect up to 8 wireless devices between the 2 of us we had 5 connected and from phones to tablets to mp3 players they all ran smoothly and quickly. Something else I love about the Hotspot is its portability, this thing is small and can easily fit in a purse or pocket, we carry it with us all the time and use it quite frequently. We've used it on vacation, in our home and most recently at my parents house because the "WI-FI" they have runs at the speed of an old dial up modem and it can get unnerving having to wait for a webpage to load! And to think it was only a short period of time ago that everyone had dial up and we all sat there waiting for pages to load and didn't think anything of it! Those days are gone and 4G WI-FI is here and it's compact portable and easy to use. Free hotspots are great but they do come at a cost of speed and stability, why go through those issues when you can just get a Netzero 4G Hotspot and bypass all of them? If you are looking for the ultimate holiday gift, give the gift of the internet! This would be great for college students, and teens. Who would not love having fast speed internet? And to be able to travel it is a breeze! What a wonderful gift idea. The NetZero 4G Mobile Broadband Hotspot is the perfect gift for bosses, friends, kids, grandparents or anyone who needs access conveniently and affordably! Best of all, the Hotspot requires no contract or commitments, so it’s ready to go as soon as the wrapping paper comes off. It can connect to 8 devices at one time and is a perfect stocking stuffer for iPads or other tech gifts this season! The generous folks at NetZero are giving one of Susan’s Disney Family readers a chance to win a Net Zero mobile broadband hotspot with a year of Platinum service a $650.00 value. Would you like to win? Please visit the NetZero website, take a look around then come back here and tell me something you learned from the site. There are also other ways to enter, please enter below. Disclosure: The reviews and or opinions on this blog are my own opinions . I received a hotspot to review. No monitory compensation was received. I was not required to write a positive review. Your experience may differ. The opinions I have expressed are my own I am disclosing this in accordance with the Federal Trade Commissions 16 CFR Part 255: Guides Concerning the Use of Endorsement and Testimonials in Advertising . I learned they have Video Chat. I learned that there are no contracts, commitments, or overage charges. didn't realize you can have a hotspot anywhere. I learned that they have a few different products for mobile devices, and that you can get 50% off devices with a data plan purchase. They have a coverage map on their website and NetZero 4G Mobile Broadband is available in my area. 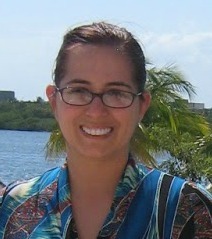 I learned that NetZero offers 10 monthly hours of free dial-up internet access, which includes and email account. I learned that there are different service levels including a free level! A plan that was free! With the HotSpot and a data plan you can have super-fast 4G Internet for up to eight devices simultaneously. There is no overage charges, so important! I like that its super easy to check coverage availability in your area! That of is affordable!!!!!! And in my area. I learned that they have some really nice pricing packages. 34.95 for 2gb is good but looks like the Platinum is the best value. I learned that it would be an excellent tool for me. I own a business and work from home, but when I am on the road, I do not have internet. This would be great! I had no idea that they had hot spot devices. This would be wonderful for my daughter who is leaving for college in Jan and does not have internet at her home. Thanks for the information!! learned they have Video Chat. I learned that With NetZero 4G Mobile Broadband, there are no contracts, commitments or overage charges. I learned it's not available in my area, but it is a few miles from here. I learned With NetZero 4G Mobile Broadband, there are no contracts, commitments or overage charges.